The Brackley based German team have had a stoke or good luck going into the season opener in Melbourne, Australia. There radical rear wing f-duct has been passed legal by the FIA after being highly questioned by rival teams throughout winter testing. 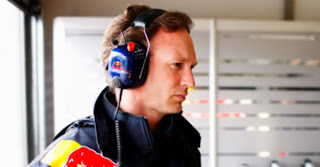 Mercedes only ran there 2012 spec car during two or the three preseason tests raising suspicions from Christian Horner & other team principles that the 2009 constructors world champions had a device up there sleeve. The W03 performed strongly during both tests in Barcelona confirming thoughts that the team has made a step forward this season and will be able to compete for strong finishes from the opening round of the 2012 championship. The rear wing f-duct device works when the driver activates the drag reduction system (DRS). The air is vented through the endplates and into the rear wings main plane drastically reducing drag and creating a higher top speed in a straight line. 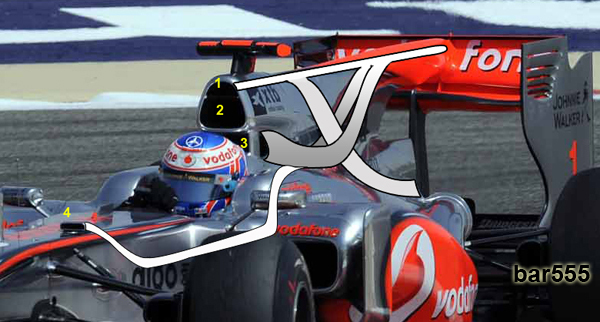 At the end of the 2010 Formula 1 season the FIA introduced a rule banning the use of driver operated f-ducts. This meant the old style activated f-ducts were strictly not allowed anymore but the new Mercedes style was because it was not operated by a move of the driver. The controversy came after a meeting at the beginning of last season (2011) when it was clearly said driver operated devices were not allowed anymore. Although accordingly stated clearly a percentage of teams left the meeting believing that all f-duct systems were banned until told otherwise. This was not true. "There was then a lengthy discussion in the TWG at the beginning of last year about that, to make sure everyone was clear about it. It seems a couple of teams went away from that meeting with the impression that F-ducts were banned in general. Whatever an F-duct is. But they are not." Despite rivals clearly being unhappy with this, Mercedes are allowed to use there design & if a success others will be forced to copy and produce there own rear wing f-duct. "Despite the way the system effectively makes use of driver movement when he activates the DRS, the FIA has no doubts that it complies with the regulations." For more news & views follow me on Twitter via the link below.